We strive to help clinicians, practice managers, and other health care professionals support patients with useful resources. Your practice can request patient education resources and tools via a Smartsheet web form through this program, which is operated in partnership with Merck. This guide contains an evidence-based checklist developed with network physicians that can guide decisions on when to refer to nephrology resources for patients with kidney disorders. 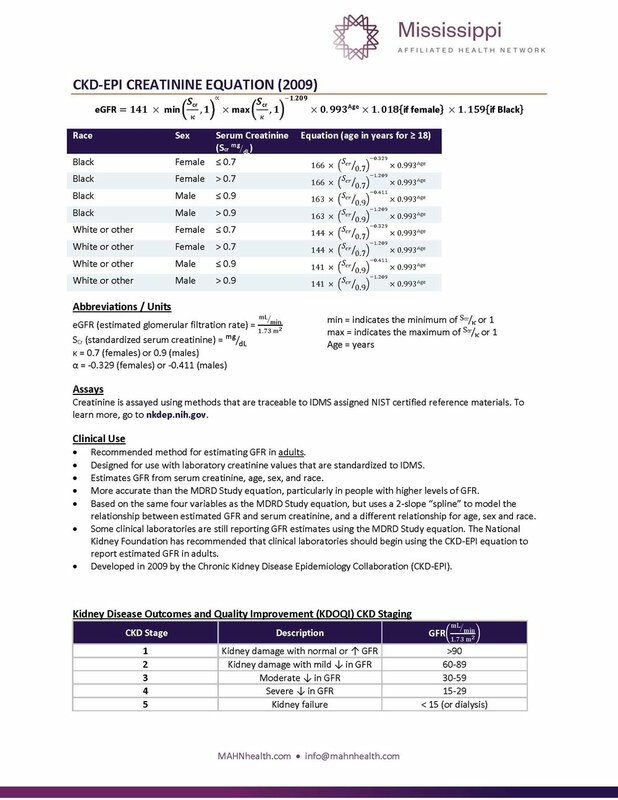 This resource contains guidelines for calculating glomerular filtration rate (GFR) in CKD patients. 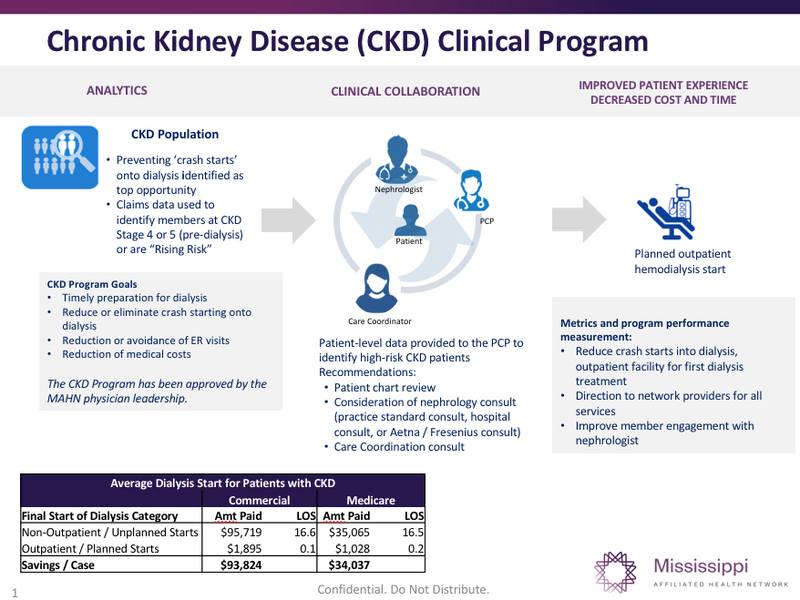 This slide includes key elements of the network's approach to managing chronic kidney disease. Dr. Joel Reynolds, an internal medicine physician in Meridian, has recorded a webinar on referral guidelines for patients with kidney disorders such as CKD. 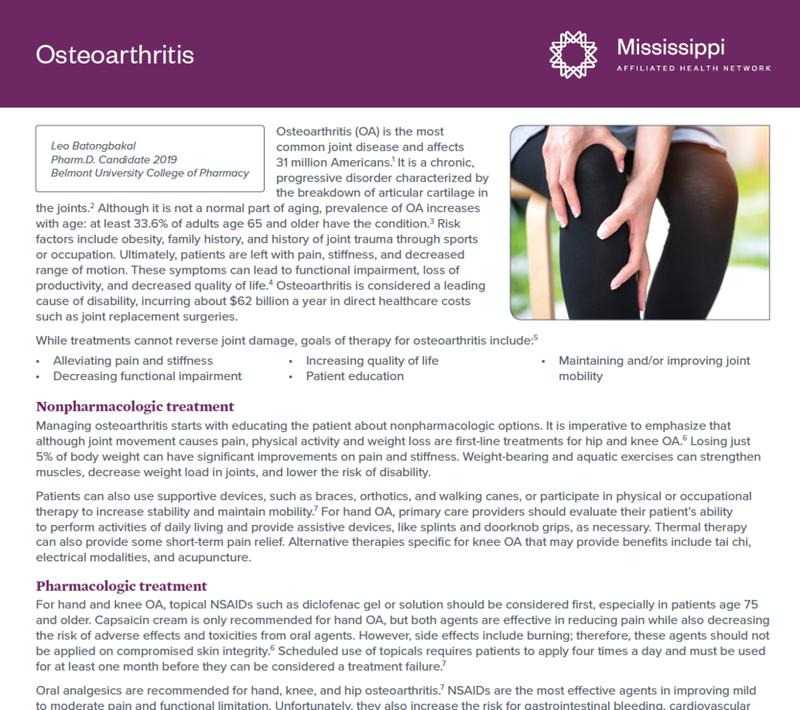 This article outlines treatments for osteoarthritis, including non-pharmacological options. Prescribers will find a comparison table outlining analgesia options with clinical guidelines. 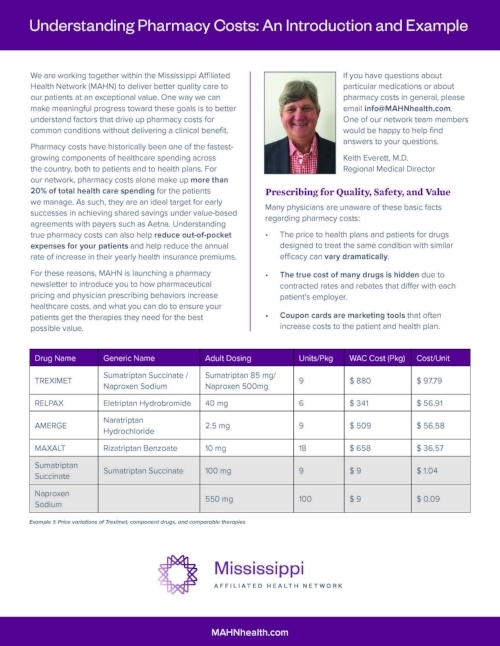 This article by network pharmacists explains factors such as coupon cards and rebate chasing that raise the cost of drugs for patients and health plans without delivering any clinical benefit. Every clinician and prescriber should understand these principles to support informed prescribing decisions. 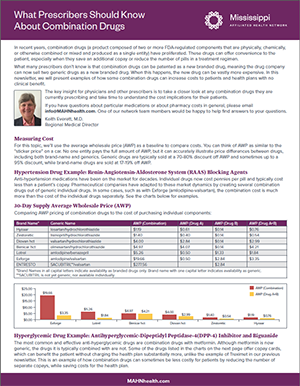 This table illustrates an example of how a combination name-brand drug can cost many times more than its component drugs in generic form. Combination drugs can sometimes save patients time and money, but in other cases, they can increase health care costs astronomically. Learn what to look for when a combination drug is a prescribing option. If your practice would like free materials to educate patients on effective, safe options for long-term contraception, please contact us. We strive to arm our participating practices with relevant, actionable information on pharmacy trends, clinical support resources, and network progress. To sign up for newsletters, please contact us.